Sometimes, all a series needs to do, is get back to the basics. Case in point, this latest arc for To Aru Majutsu no Index III is nothing all too original, complex or crazy, but its effective and competent at telling a rather riveting tale. 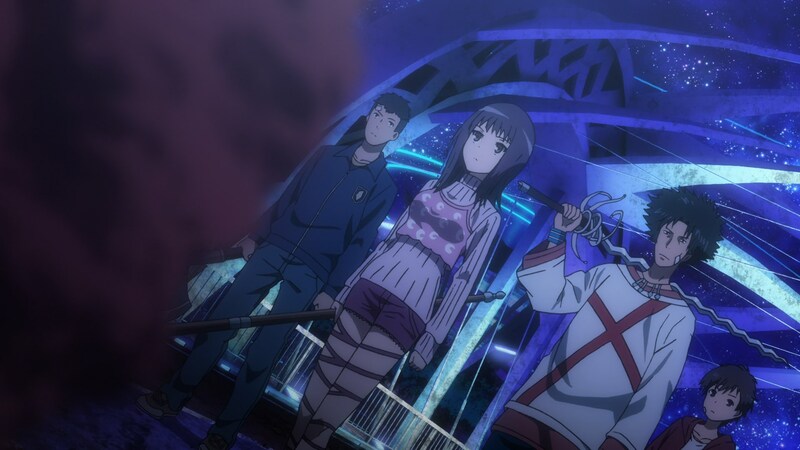 The pacing, while a bit brisker this week, is still none the less coherent and bearable, which is a huge thing for this particular season of Index. All in all, this has been a good two weeks for Index III, which isn’t something I’ve been able to say too much thus far. Now, before we get into the meat and potatoes of the episode, I think its actually worth discussing the tardiness of this post, if only because I don’t attribute sole responsibility of the timing to just myself. 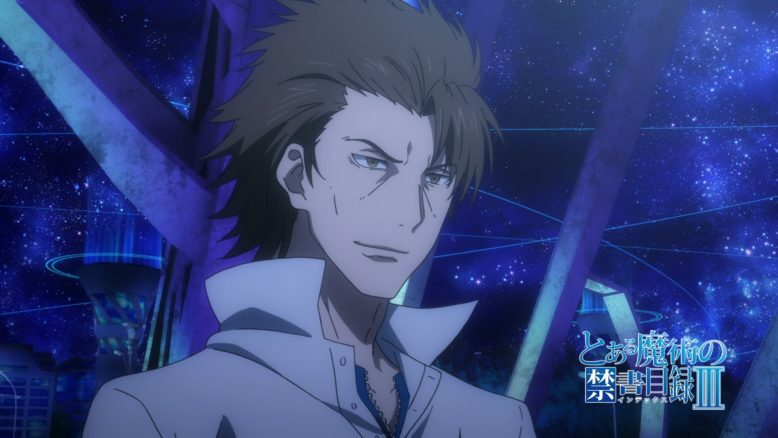 In a rather strange drop of the ball, it was actually Crunchyroll that delayed the release of the latest episode of the show by a full three days in English, releasing it in a variety of other subtitled languages on its regularly schedule Friday. While I’m not about to turn this post into a Crunchyroll bash-a-thon, I will say that Crunchyroll’s treatment of this series has been less than stellar. First, it delayed the actual announcement and release of both the license and the first episode, disappointing eager fans by getting on the English bandwagon a week late, and now this. I’m not entirely sure who’s in charge of the Index deal or partnership at Crunchyroll, but the lack of care and attention to this series is becoming worrying only because there’s been enough hijinks to now call it a pattern. To Aru Majutsu no Index III is a big deal, and there’s a ton of fans both here in the west and of course, in Japan. Yet, for the life of me, I just can’t understand the treatment that this third series has gotten from all parties involved in producing it. 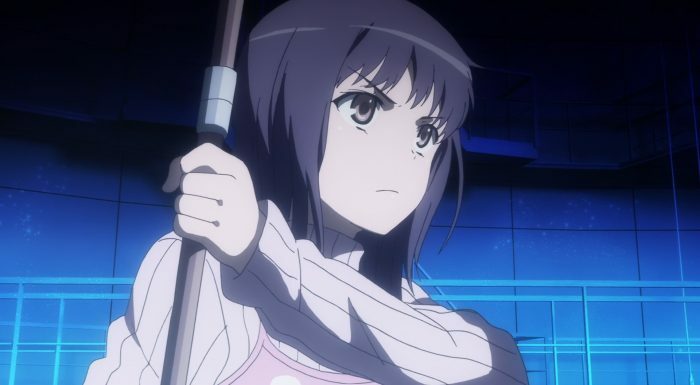 J.C Staff seems to be dropping the ball with the animation, the director/writers e.t.c are doing a terrible job of adapting the material, the production committee hasn’t sunk in enough money to make this an actual quality product and Crunchyroll has been making misstep after misstep with its handling of streaming the darn show. 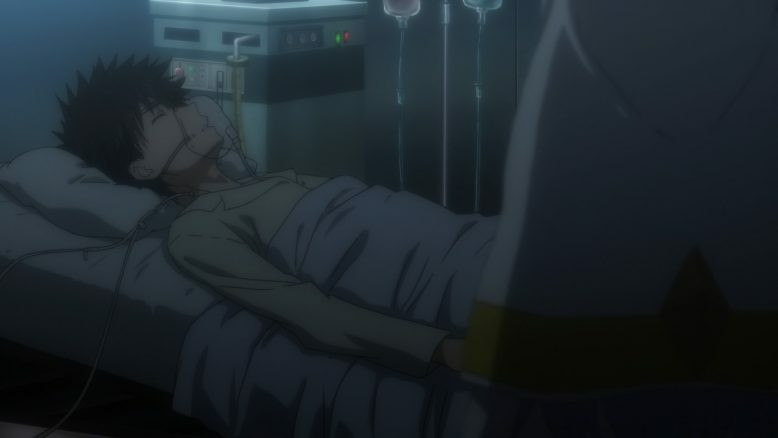 Man, Index fans really have it tough this time don’t they? In any case, I suppose we can get some solace in the fact that the episode itself was pretty good. Not perfect of course, as the core problems with the show are still here (if a lot less noticeable than they generally are), but I think the reason both this week’s episode and the last one work is because they focus on two things; characters and surprises mid battle. From the get go, this arc has had a really interesting premise in having Touma be the one that needs the saving this time around. 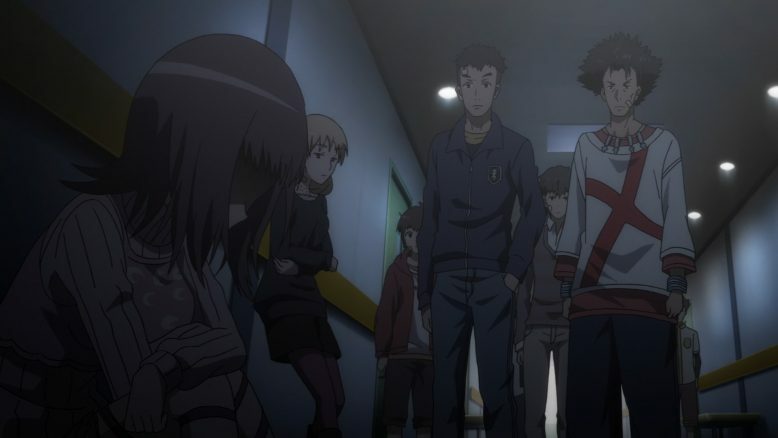 We’ve seen Touma save quite a few characters in his tenure as the main protagonist for the Index series, but rarely if ever have we seen people really stick out their neck for the kid and protect HIM. Yet, given the thing he’s up against with regards to Accqua, it makes sense that Touma needs some assistance, especially after the big beating he took at the end of last week’s episode. Chief among the people protecting Touma of course, is the rising star of the Touma shipping wars; Itsuwa. I have to say, Itsuwa is slowly becoming one of my favorite characters in this franchise, period. She’s a likable girl that plays well off Touma, she’s shy and feminine but also confident and strong, and she’s extremely badass in her fight with Accqua this week. It was just awesome to see Itsuwa and the Amakusa group basically band together and use their combination attacks against Accqua. If nothing else, its great to see that the group has really come together and grown after losing Kanzaki Kaori and after their more villainous role earlier on in the franchise. Tatemiya himself really shines in this episode, whether its giving Itsuwa a much needed peptalk, or providing some solid comedy relief amidst a pretty dire situation. And of course, while Itsuwa and the rest aren’t able to actually beat Accqua, they keep him at bay long enough for Kanzaki herself to appear and join the fray. Kanzaki coming into the mix was pretty telegraphed by the show. but I liked how her dialogue and exchange with Accqua indirectly referenced her own meeting with Touma and established her reason for joining the fray. Kanzaki certainly owes Touma a lot, so its nice to see her come back here and repay some of the kindness that our main man has regularly dished out. Ultimately, It does seem like Accqua and Kanzaki are pretty evenly matched, so I’m curious to see how exactly team Touma manages to eventually thwart the guy. 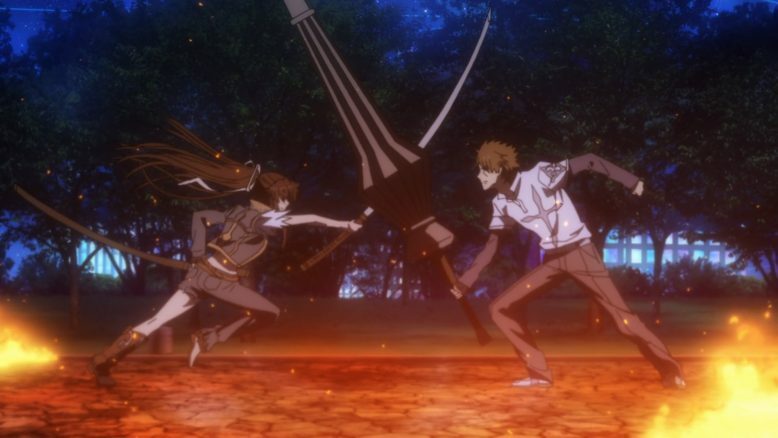 We do see Touma regain conciousness at the end of the episode and try to head on over there, so the solution to this particular event may not be a confrontational win in a battle. We’ll have to see where Index III takes us from here on out, but I’d say the pieces are all there to make this arc memorable. Between Itsuwa, Kanzaki and of course Touma himself, this arc has definitely given some solid moments. Hopefully it can just stick the landing for a change, as well.